AN historic ‘coin’ has returned home to Chipping after 340 years. 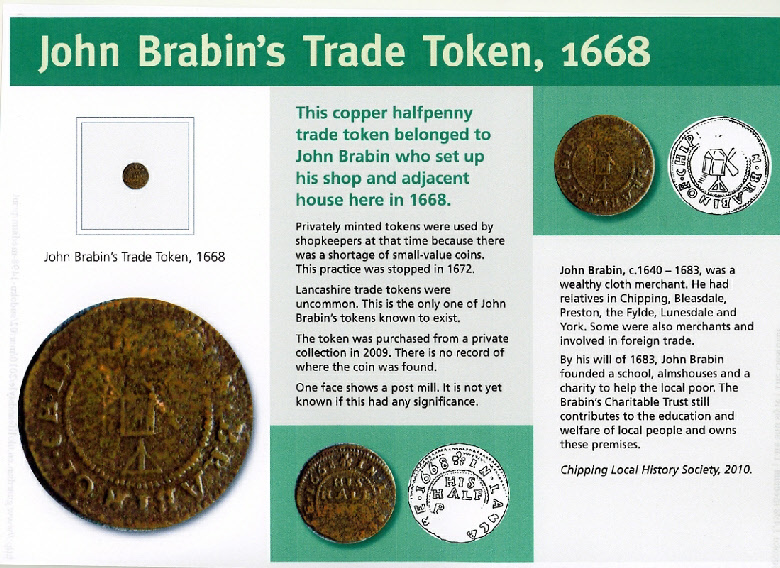 Chipping Local History Society is celebrating this remarkable homecoming – after the token bearing the inscription ‘John Brabin of Chipping in Lancashire 1668 His Halfpenny’ recently came up for auction and was secured ‘for the village’ by a consortium that included the history society. An article in Coin News in October 2009 by Frances Simmons of Simmons Gallery in London, which was entrusted with the disposal of the collection of the late EJ Luck, sheds some light on the history of this and other tokens. ‘The token is believed to be unique – there are no other examples known despite there being a number of specialist reference books and many collectors of 17th century tokens. ‘In 1672 with the issue of regal halfpennies and farthings, unofficial tokens or coins were prohibited and the vast majority were withdrawn from circulation, discarded and either melted down or destroyed. It is only by chance that a single example of the Brabin halfpenny survived’ explained Frances Simmons. Chipping. John Brabin established his business in 1668 when he set up a shop to trade cloth and a dye-house. He died in 1683 and through his will set up a trust to support education and help the poor of Chipping, Thornley and Leagram. Brabin’s Trust is still flourishing today and owns Brabin’s Shop in Talbot Street, the Almshouses on Windy Street, plus other property around the village. 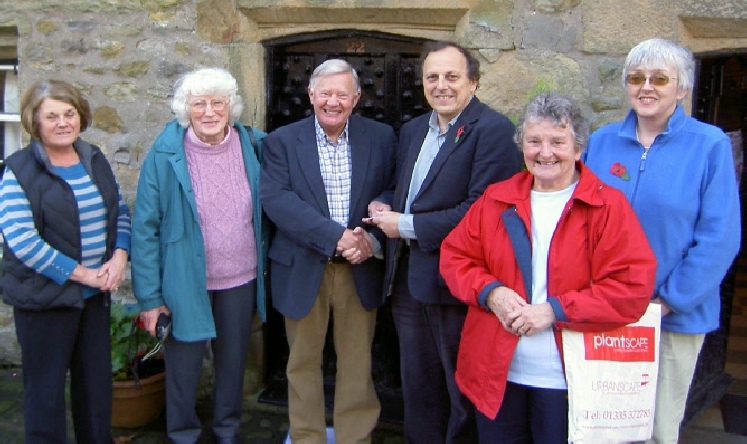 The shop is thought to be the oldest continually trading shop in the country and, despite losing its status as a full-time Post Office in July 2008, is still a centre for the community as an Outreach Post Office and newsagent. The business has been developed over recent years to include an Art Gallery and Tea Garden alongside sales of gifts, sweets and H.J. Berry furniture. It is planned to make a display cabinet to exhibit the token and information on its history in Brabin’s Shop in the near future.